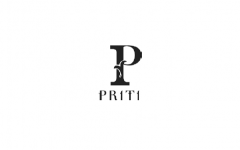 Business description - Priti International is primarily engaged in manufacturing and exporting of Handicraft Products. The company also deals in manufacturing of wooden, metal and textile based furniture and handicrafts products, upcycling and recycling of various kinds of raw, unusable and waste metal and wooden articles. Its products range from solid wooden and metal furniture articles, home furnishing items, creative wooden and metal articles for various uses, textile based products like cushions, pillow covers, rugs and carpets, handbags, travel bags and backpacks, pet products, etc. The company sells its products in the international market. It exports its products to wholesalers and retailers from countries such as Spain, Belgium, Holland, Netherlands, Turkey, England, China, Greece, Germany etc. Apart from them, it also exports products to customers working on some specific projects e.g. newly constructed hotels, restaurants, bars & pubs, etc. Priti International IPO allotment status is now available on Bigshare Services' website. Click on this link to get allotment status.